When you think of classic rock, you have to give a nod to the band Journey. 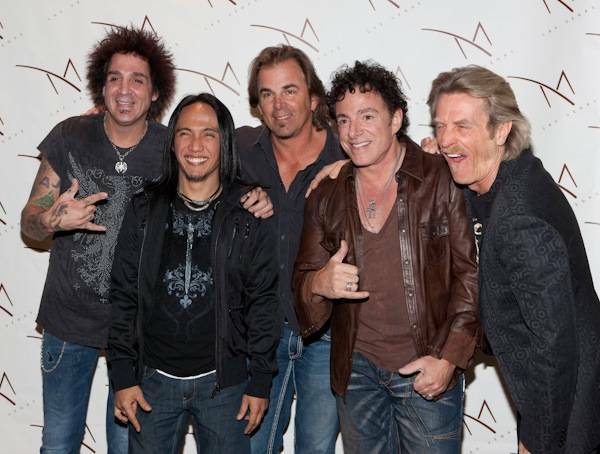 Journey will perform at the BMO Harris Bradley Center on November 16. They will be joined by none other than Pat Benatar, and Loverboy. Journey has two dozen gold and platinum records to their name. They wrote nearly 20 hit songs, and their fans still come out in the thousands to see them perform live. Arnel Pineda is now their singer, and the band hasn't skipped a beat. Purists might think that this is not the real Journey, but once you hear Pineda belt out the chorus to Don't Stop Believing, you will forget all about their former singer Steve Perry. Their original drummer Steve Smith was also replaced, as he didn't think that the band was the same without Perry. Pat Benatar is also on this star studded rock tour. Benatar is known for her hit songs such as Hit Me With Your Best Shot, and We Belong. Benatar is joined by Neil Geraldo. Together, they wrote great songs, and will not disappoint fans of 1980's of rock ballads. If that wasn't enough, Loverboy will be on the bill. Loverboy is a band that has sold over ten million records, mostly before 1987. Their most widely known album is titled Get Lucky. Tickets are on sale now.